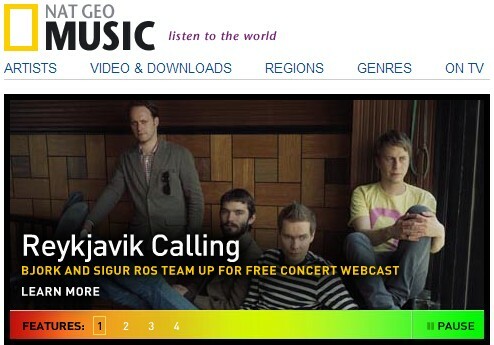 Sigur Rós is pleased to announce that Nat Geo Music, the music division of the National Geographic Entertainment, will webcast the entire open air Náttúra concert live from Iceland on Saturday, June 28, 2008 starting at 8pm London, and 7pm GMT. Go to the Nat Geo Music site for more information on the concert and the webcast. If you miss the live webcast, there will be an on-demand stream available from National Geographic’s web site next week. Sigur Ros United Palace Theatre tickets are on sale now.